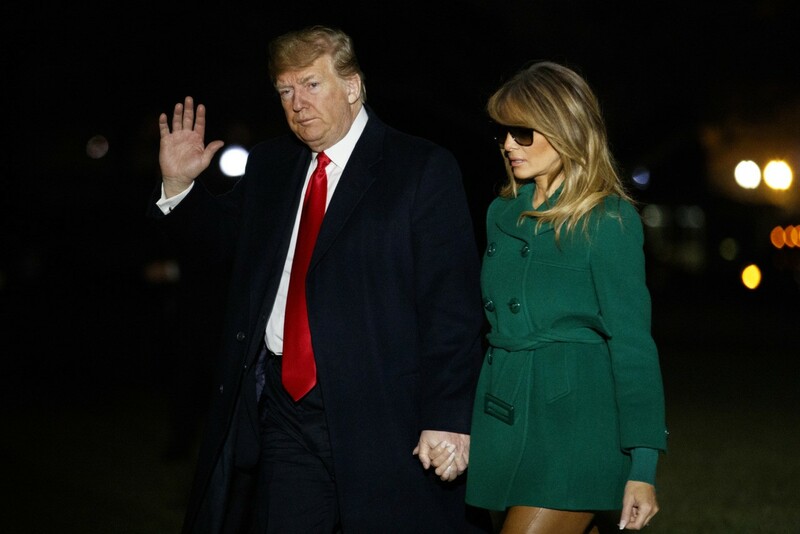 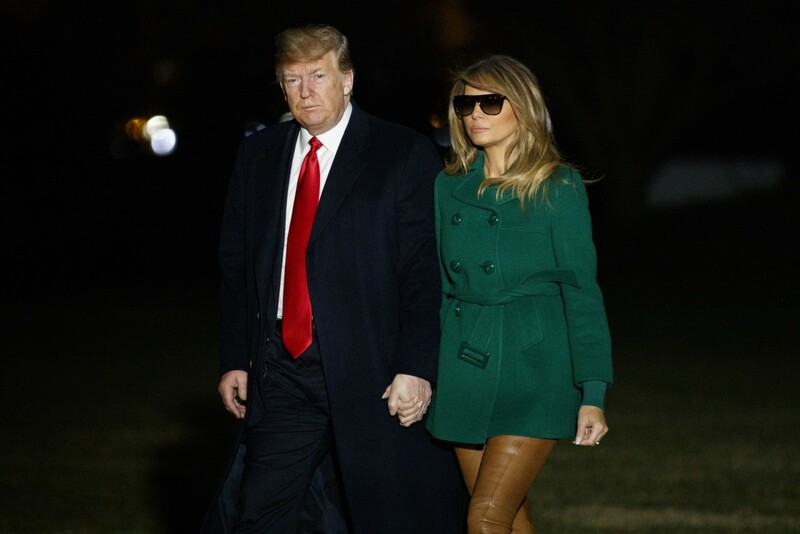 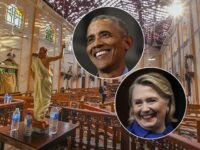 First Lady Melania Trump shaded the establishment media in a pair of sunglasses for their false claims that she and President Donald Trump did not visit American soldiers on Christmas. 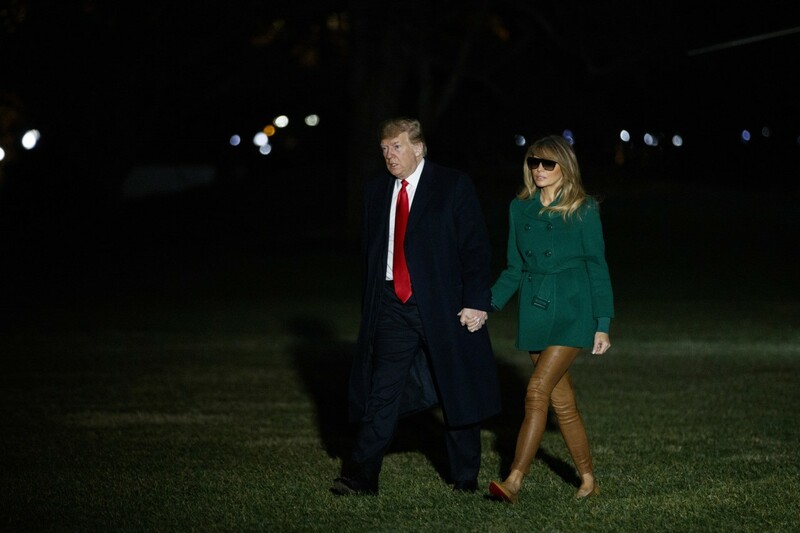 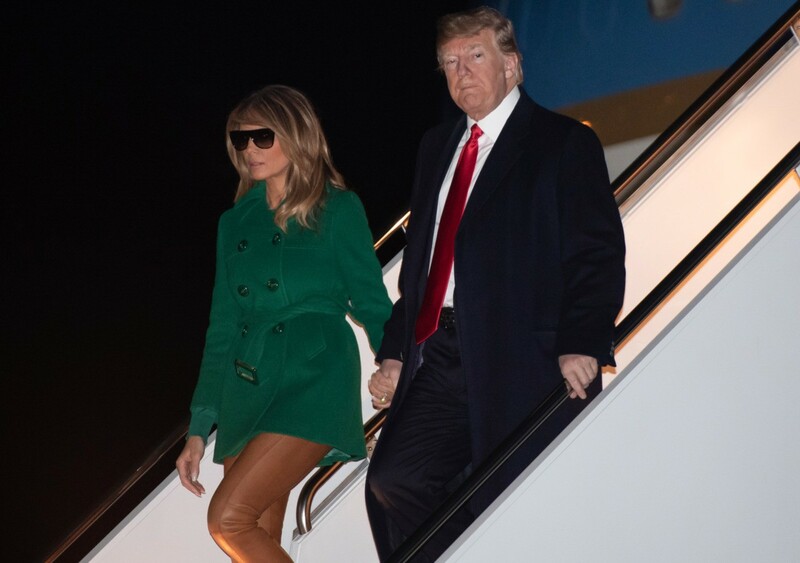 Melania Trump landed back in Washington, D.C., after surprising American troops stationed in Iraq on Christmas alongside the president, wearing a green Prada peacoat, a pair of Ralph Lauren brown leather leggings, and brown Christian Louboutin flats. 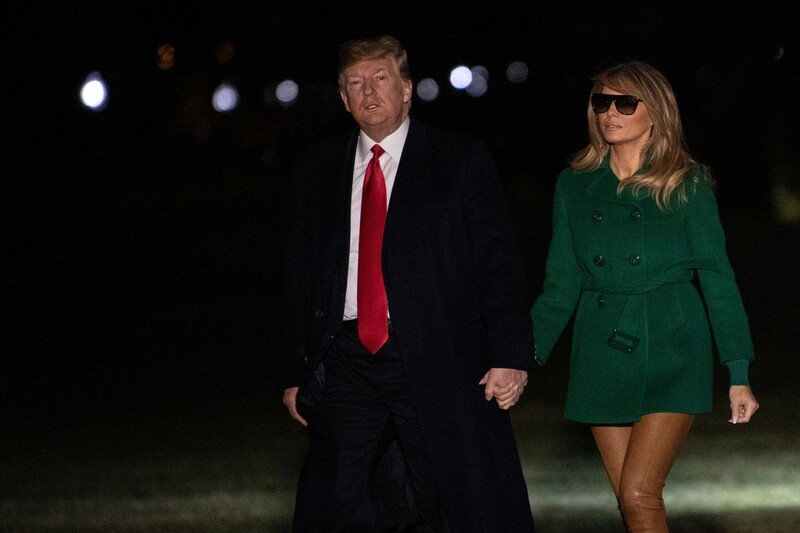 The shades, of course, are Saint Laurent and retail for about $350. 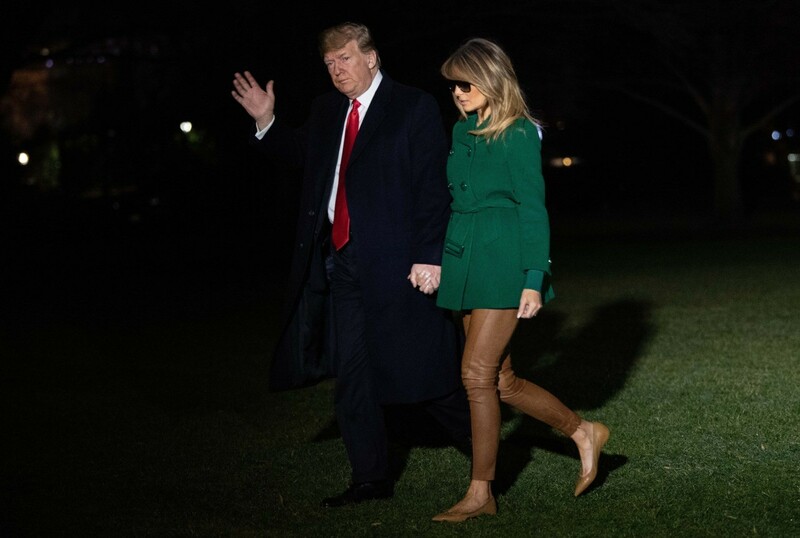 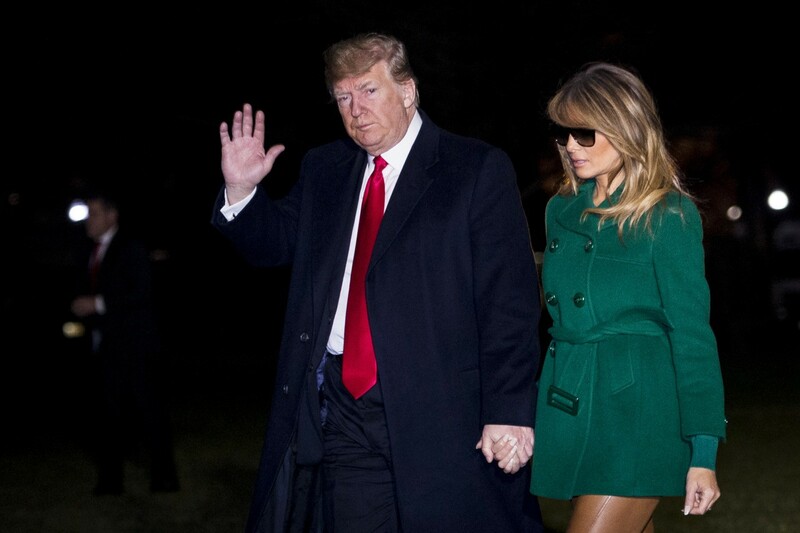 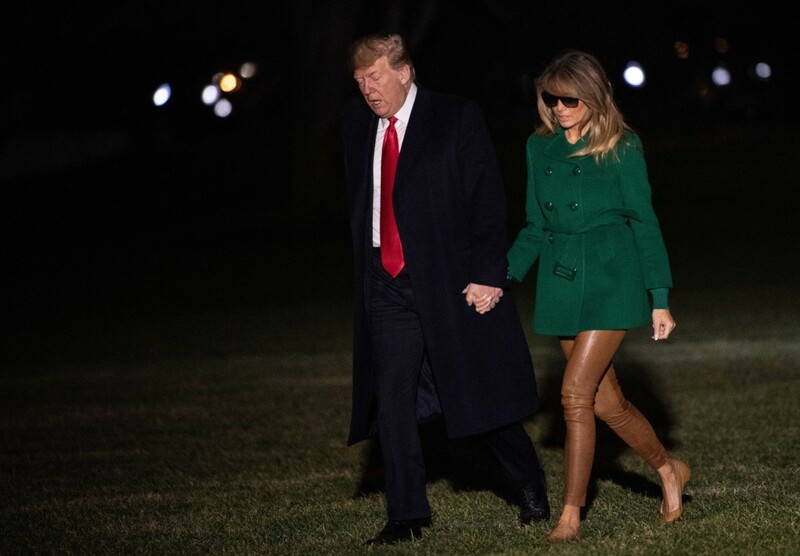 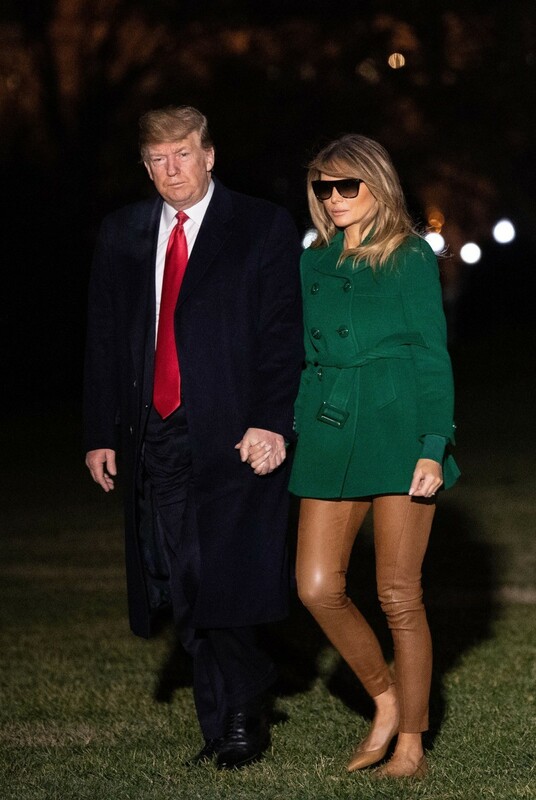 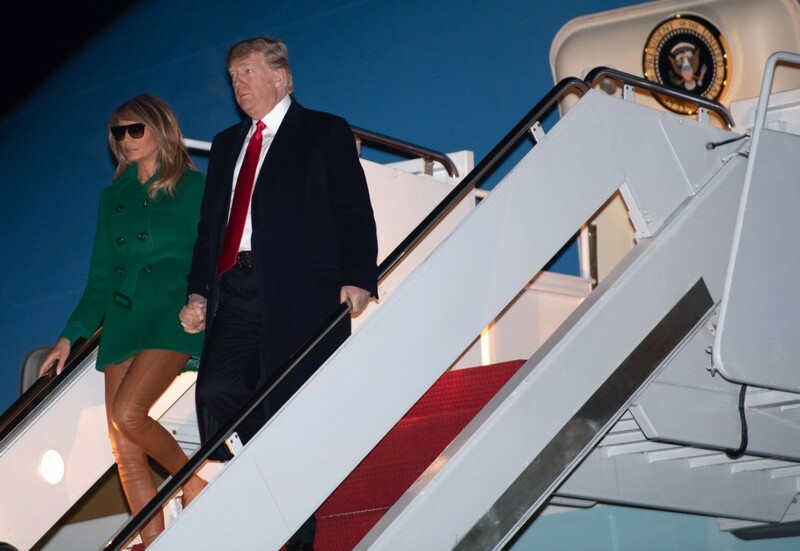 Mrs. Trump, avid Fashion Notes readers will remember, wore the emerald Prada coat last year during Christmas time and wore the Ralph Lauren leggings when she landed in Helsinki, Finland, in July. 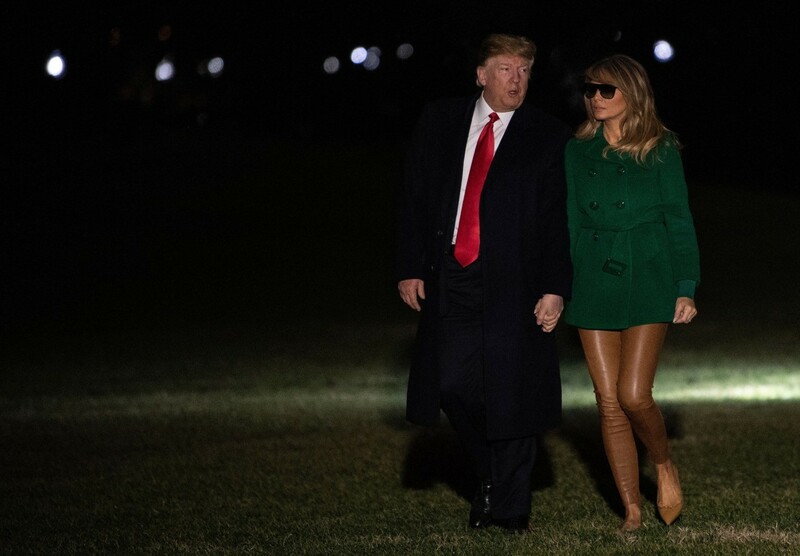 The leggings retail for about $998. 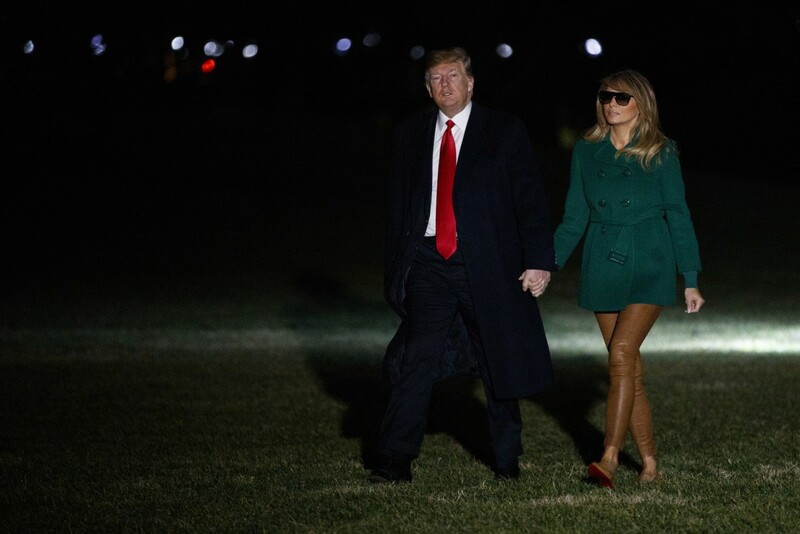 Wearing sunglasses in the dark is synonymous with American pop culture, as it is often the choice of sought-after starlets who are looking to avoid those pesky paparazzi. 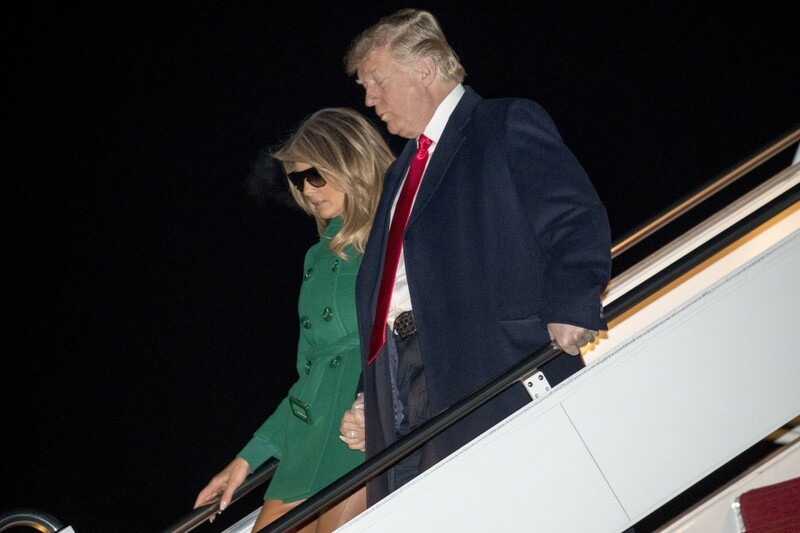 In Mrs. Trump’s case, the sunglasses can serve as a subtle diss to the establishment media and their fake news.